I remember waking up as a kid on wintry mornings to find frost on my bedroom window obscuring the trees and yard. Those were traditional six-over-six windows, with individual panes of glass secured between muntins. 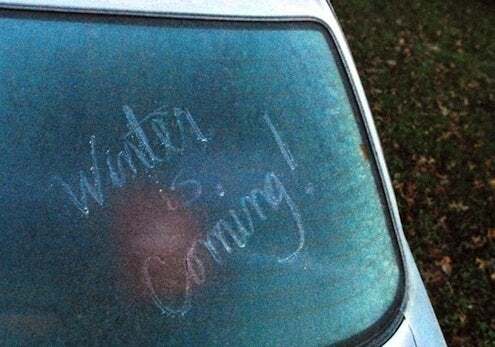 With newer construction and the advancement in double-paned window technology, window frost is not as commonplace as it used to be. 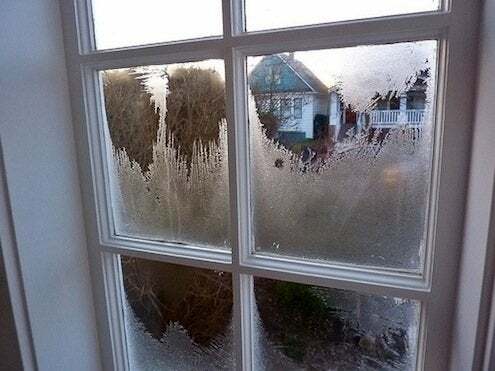 But it still occurs in plenty of older homes, and while frost formations can be stunningly beautiful, they are not something a homeowner should welcome. Frost forms on windows when they are exposed to cold air on the outside, moist air on the inside. Moisture in the room’s air (water vapor) is drawn to the window pane, and when the outside surface temperature lowers past the dew point, that water vapor solidifies into liquid. That liquid then freezes into ice crystals, and you’ve got your frost. Frost can cause damage. As it melts, it transfers moisture to whatever is next to it. If that’s a wooden window, it can discolor varnish and crack paint or even damage the wood. 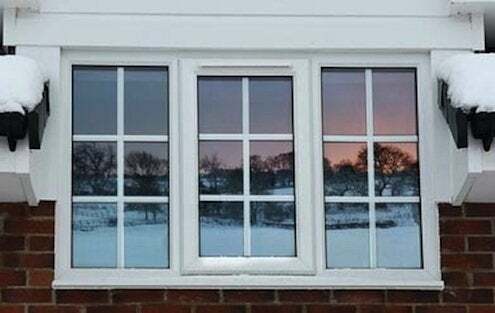 Frost can also melt off single-paned windows and seep down into a wall. If moisture is not handled swiftly and completely, mold can begin to grow. Being a responsible homeowner means letting go of some romantic ideas about nature, like the beauty of frost on your windows in the morning. But don’t worry. If you’re really missing nature’s artwork, I’m sure you can find some on your windshield as you head out to work or the store!